Rebecca Spit Marine Provincial Park is located on the east side of Quadra Island, approximately 15 km (9.4 miles) from Campbell River in the Salish Sea (Strait of Georgia). 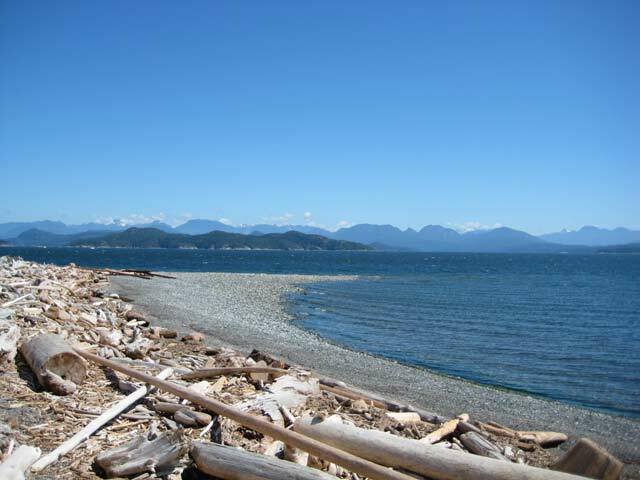 The main highlight of Rebecca Spit Provincial Park is the narrow gravel land mass that juts out for approximately 2 km (1.3 miles) into the Salish Sea on one side, the Discovery Islands then, on the other, overlooking and protecting Drew Harbour west up to Heriot Bay. 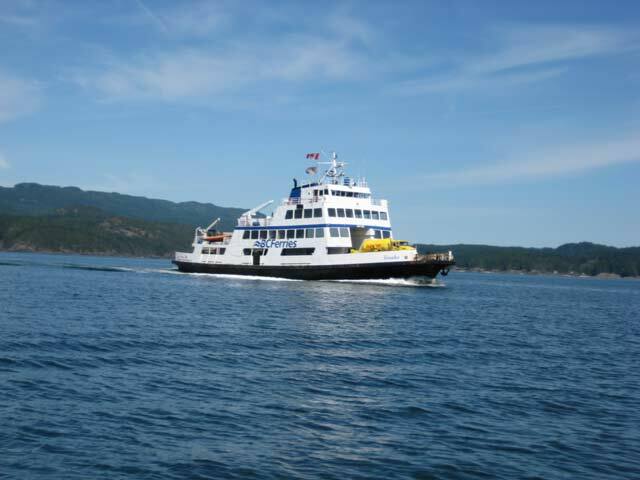 To get here, travel north on Hwy 19 from Nanaimo 150 km (94 miles) to Campbell River, then take the regular scheduled sailing aboard BC Ferries Powell River Queen to the ferry terminal at Quathiaski Cove on Quadra Island. Rebecca Spit is approximately 11 km (7 miles) north-east from the ferry terminal on either West Road towards the Cortes Island ferry or on Heriot Bay Road. Rebecca Spit includes a number of beach areas consisting of coarse sand on the west side to gravel and small boulders off the east side. 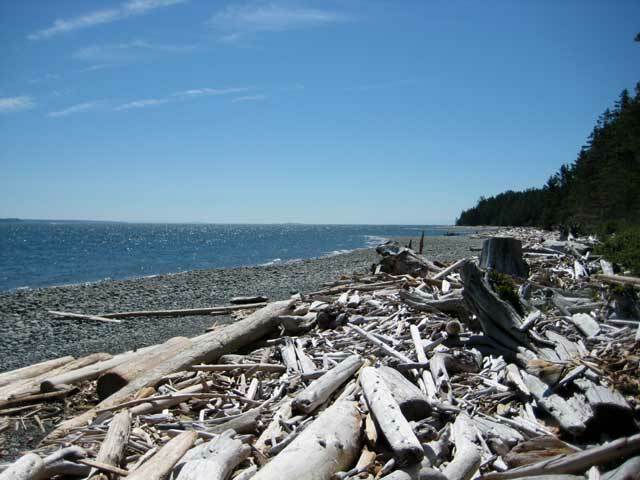 Also located on the beach is a large amount of driftwood that has piled up from all the winter storms and strong winds throughout the year. The beach makes it a delight for people to beachcomb, watch the Bald Eagles soar above and explore the interesting coastline in near solitude. The facilities at Rebecca Spit include running water from taps, pit-toilets, picnic tables and waterfront benches with incredible views of the Salish Sea, Discovery Islands and Drew Harbour. 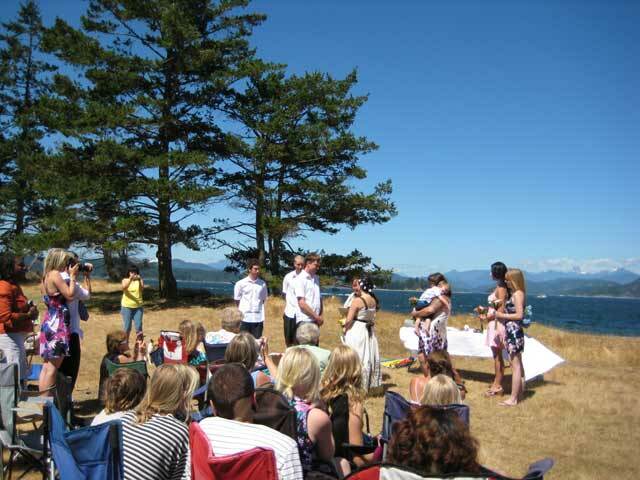 There is a large grass field right next to the beach making it a favourite setting for staging weddings or large family events near the end of the road going into the park. If you want to explore or walk to the end of Rebecca Spit, there is a large parking lot near the grass field and pit-toilets. From here, a short trail winds around Drew Harbour to the very tip of Rebecca Spit where there is a light beacon with a great view of northern Quadra Island, Reid Island and Cortes Island in the north and east directions. 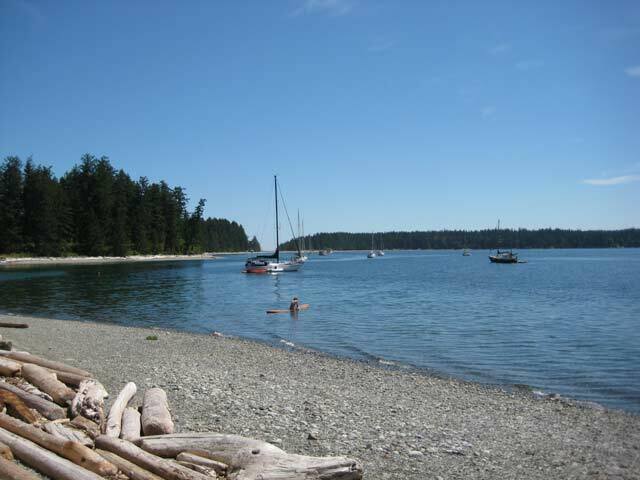 For boaters cruising and sailing the Discovery Islands, Rebecca Spit Provincial Marine Park has some excellent anchorage points situated in Drew Harbour. The moorage spots offer very good protection from the offshore winds of the Salish Sea. For small powerboats and kayaks, Rebecca Spit has a very nice well-built concrete boat launch available at no cost. You can find a large number of parking areas for a vehicle and boat trailer directly across from the boat launch. 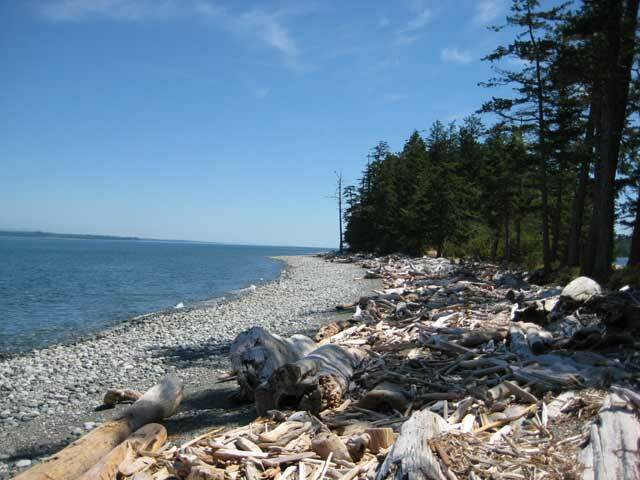 Although there is no camping allowed at Rebecca Spit Marine Provincial Park there is the very excellent We Wai Kai Campground conveniently bordering the park gate. 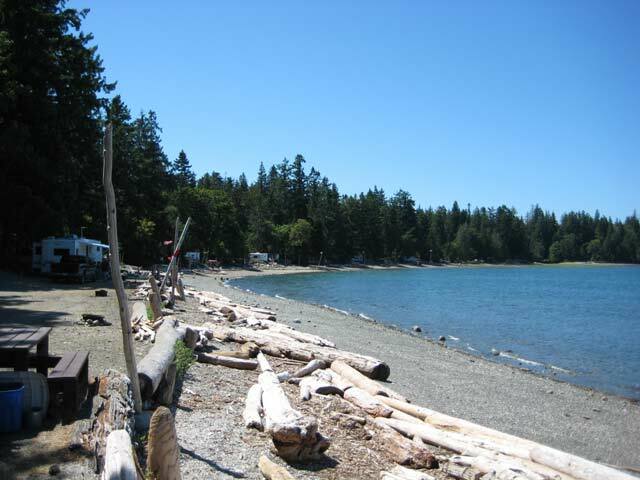 Operated by the Cape Mudge First Nations (We Wai Kai), the campground offers a number of waterfront campsites, some privately treed sites, some offering full hook-up, beach access onto both coasts of Rebecca Spit and a convenience store. The operators are extremely helpful, full of information and offer fresh flash-frozen scallops for sale from the local fishery off Rebecca Spit. The closest place from the park for groceries, small hardware items, liquor and post office services is at the Heriot Bay Tru Value Foods about 4 km (2.5 miles) from the park. 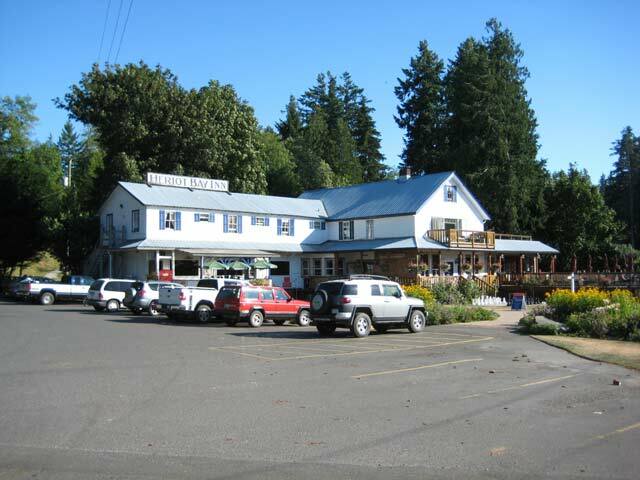 The Heriot Bay Inn, which is situated nearby, features the local pub and eatery. For a greater selection of supplies and services on Quadra Island, there is the small settlement of Quathiaski Cove, the commercial hub of the island, where you can find the Quadra Village Market, Peoples Drugmart, medical clinic, post office, coffee shop, health food store, bookstore, credit union, pub, Village Square and the RCMP. There is a small beachside grill, called the Raving Raven, located right at the park gate into Rebecca Spit Provincial Park. Owned and operated by the Tsa-Kwa-Luten Resort, the grill can offer you burgers, fish and chips, chicken pita, soft ice cream cones, calamari, pop and coffee. 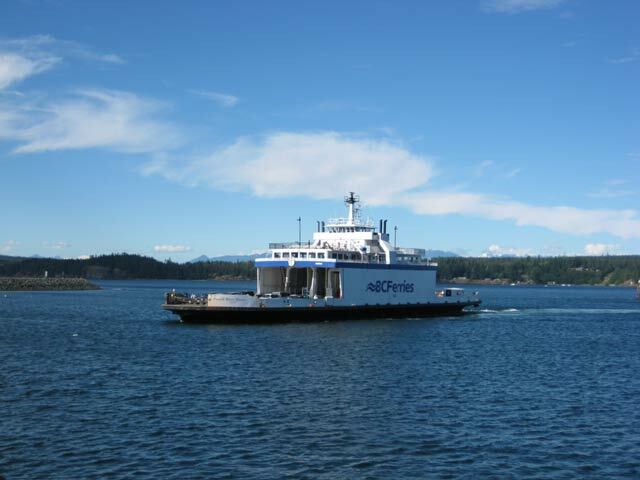 While exploring Rebecca Spit Provincial Park during the day, you might get a chance to view a BC Ferries vessel off the coast in the Salish Sea (Strait of Georgia), this is the ferry to Cortes Island, the Tenaka. If you have time to spare, you can also visit Cortes Island from the Heriot Bay terminal where you'll find lots to discover including Whaletown, Smelt Bay Provincial Park and Hague Lake. 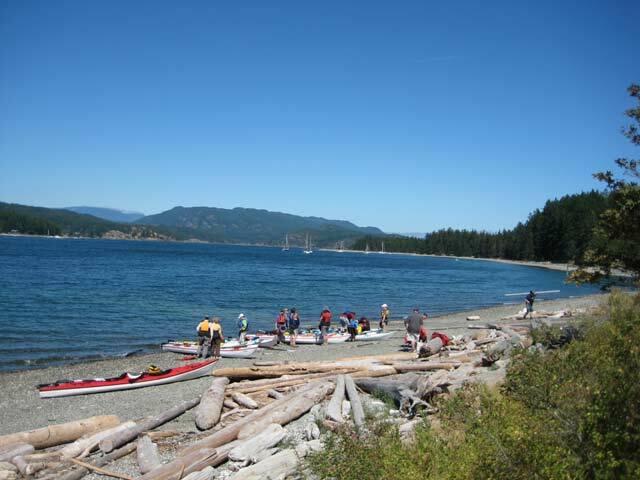 Other areas close by vehicle or a long, hard bike ride from Rebecca Spit Provincial Park on Quadra Island, include the swimming area found on Village Bay Lake, probably the best on Quadra Island, the canoeing in Main Lake Provincial Park, the hike to Morte Lake or up Chinese Mountain.